We are huge Thomas the Tank Engine fans. We are thrilled about the opportunity to meet Thomas and Percy in person! The minute our toddler D first saw a friend's set of wooden Thomas the Tank Engine trains there has been no turning back. He loves Thomas and Friends so much that we use his trains for learning and play. I cannot wait to see his reaction when he spots Thomas, Percy, and Sir Topham Hatt in person! For the first time ever Percy is joining Thomas for a Day Out with Thomas: Thrill of the Ride Tour! 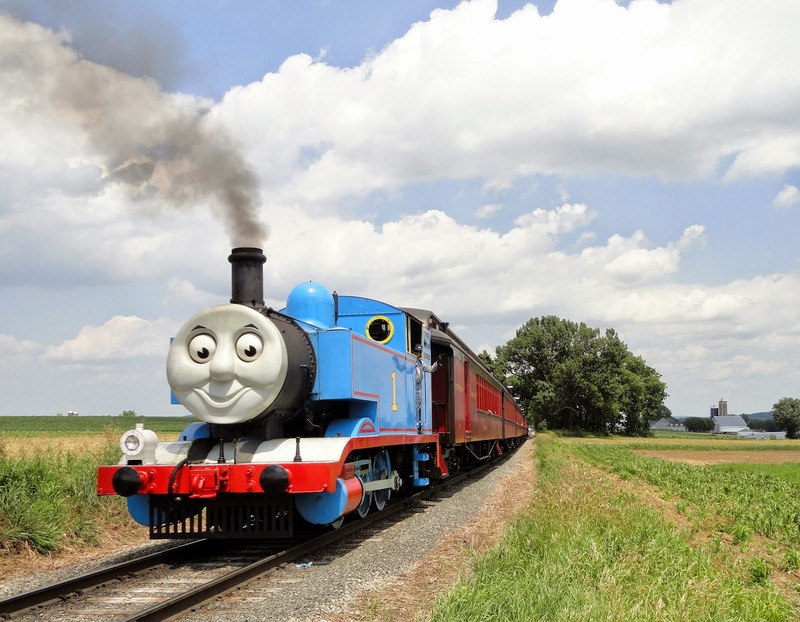 While Thomas has been visiting cities for 19 tours Percy's debut will happen at the Strasburg Rail Road before both trains chug on to 42 other cities. 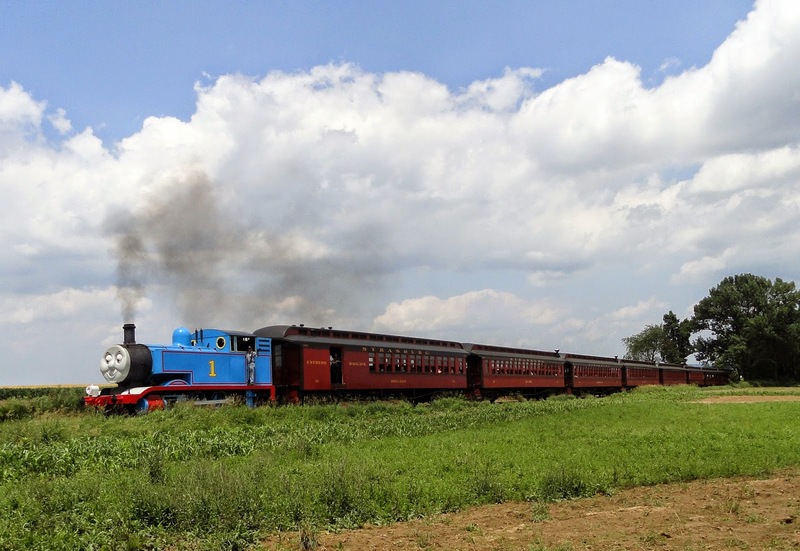 Tickets include a ride with both Thomas, Percy, story telling, pictures, crafts, train tables, videos, and so many other activities for the kids. Thomas and Percy will talk to fans and Percy will tell the story of “Percy’s Chocolate Crunch.” In addition to joining Day Out with Thomas this year, Percy will also have a starring role in the upcoming Thomas & Friends: Tale of the Brave movie. Through the generosity of the Strasburg Rail Road we are giving away a family four pack of tickets for Sunday, September 14 at 11:15 am! We received complimentary tickets for our own review of a Day Out With Thomas (which we will write after our visit) and hosting this giveaway! I hate to be too predictable, but I think my kids would say they love Thomas himself the best! Colin's favorite is Hiro, but not patchwork. Lily seems to play with all of them, not sure if she has a favorite. My son loves Thomas, but my daughter loves Rosie! My sons favorite is Toby! Thomas is definitely a favorite in our house, but James also loves James & Percy! Caitlin likes Gorden, Emily & Caitlin of course! Edward and Michael are our favorite cars because it is their names too!